For many years, I've called myself a yardener, not a gardener, meaning that I can keep grass alive but growing and tending a garden? It hasn't really been my thing. Maybe it was the condition of our old front garden - small and shady, or the shape of our backyard - small and long and narrow - but whatever it was, I never really had much desire to be in the garden beyond pulling out weeds at the start of the season and cutting the grasses back at the end. But then we moved to this house... and things have felt different. I've been eager to get out into the garden and get my hands deep in the dirt. And not just me - I've been consciously trying to get Chloe outside with me. A typical 8 year old, she spends too much time binging Sam and Cat on Netflix or on her devices playing games when I'd much rather she be out in the sunshine. Parents, you know what a struggle that is! So when the PC® team reached out with info about all the great new lawn and garden products in store, it was just the inspiration I needed to yank Chloe away from the YouTube unboxing videos. The PC® Garden Centres are glorious places to be at this time of year. They're full of bright, beautiful colour and I know I'll find plants there I've never seen before. Chloe made a beeline from the tomato plant in the Colour Match Veg Cage. There were oh-so-cute tomatoes already growing on the vine and being the amateur gardeners that we are, it felt like we had a great head start. 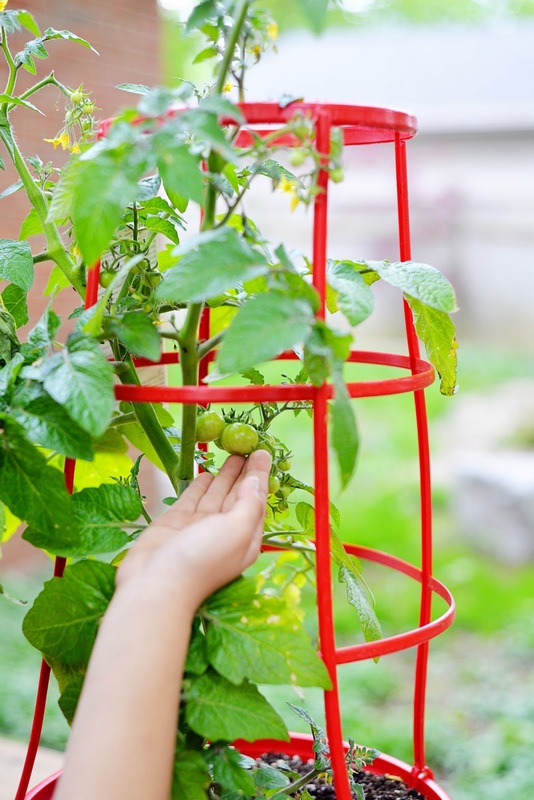 I mean, PC® already did the hard work of determining the right soil, getting the seeds to sprout, and growing them tall enough to fit in this cage. All we have to do is find a sunny spot and water the plant regularly, right?? I think that's why I love the PC® Garden Centres so much... they make me feel like I could garden even when I really don't know what the heck I'm doing. They make it easy. Products like the PC® Deluxe Hanging Basket Impatiens Sonic Series couldn't be more fool-proof; just hang and go. And I love their PC® Gigantico offerings - varieties like the Calibrachoa Cabaret (also known as Million Bells) come in colours like Starshine Violet, Sunshine Berry, and Lemon Yellow, bringing abundant blooms and bright colour to your garden. But if there was one plant that could get my girl excited about gardening, this was it: the exclusive PC® Strawberry Combo. 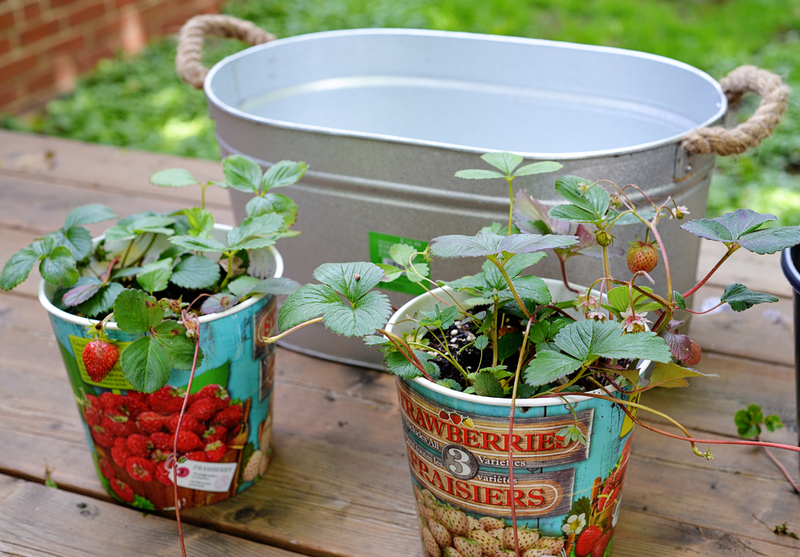 This one pot contained three varieties of strawberry plants (Framberry, Pineberry, and Strawberry Seaburst). We bought two of these pots and a galvanized planter. Much of our new garden is still a weedy, overgrown mess that we have yet to figure out so planting in containers seemed best for now. Chloe's cousin Avery was over on the weekend so it was my luck to have two child labourers instead of just one ;). I sent the girls in search of some rocks while I drilled holes in the bottom of the planter for drainage. Then we laid a layer of rocks along the bottom of the planter and filled it up with soil. 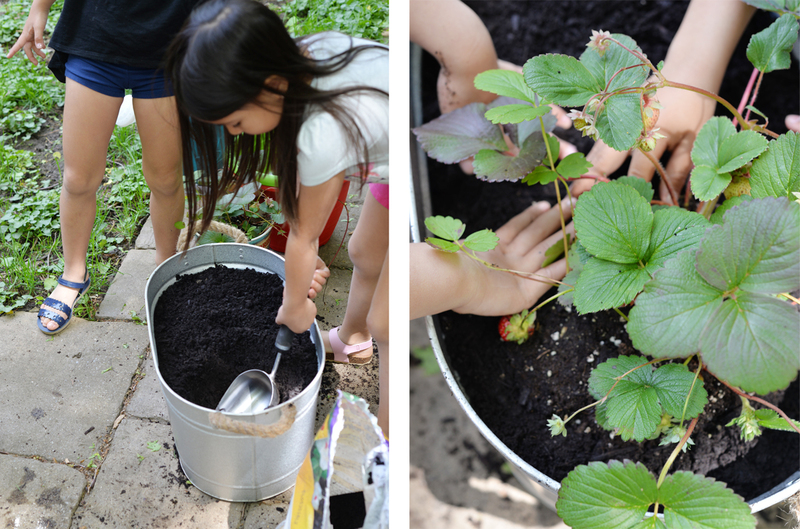 The girls each then got to dig a hole, turn a strawberry plant out of the pot, and plant it. It was great fun seeing them working hard and getting dirty - in between the squeals of "Eww! There's a potato bug!" 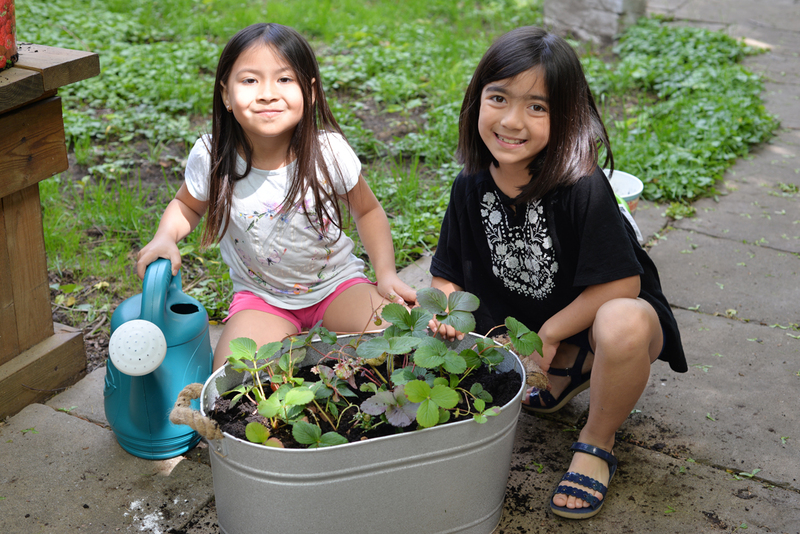 They were pretty happy with their accomplishment and since then, Chloe has been diligent about asking if she needs to water the plants. I'm really hoping that these strawberries grow and we get to enjoy a literal fruit of our labour. Have you been out in the garden yet? Any tips for this newbie? Disclosure: This post was sponsored by PC® Garden Centres. All opinions, words, and images are my own.